Mike Hamad, a music writer for The Hartford Courant, has a deep and abiding love for Phish. 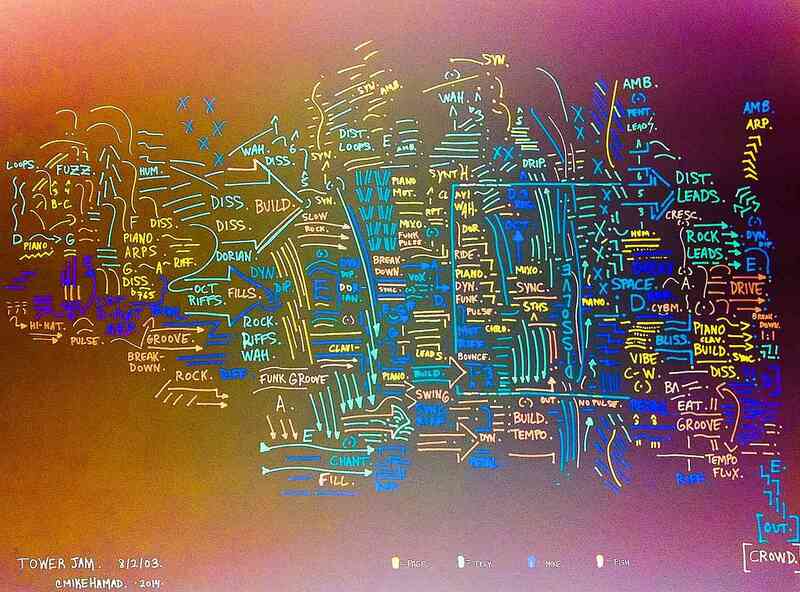 He also has a talent for drawing "schematics" or maps that turn the experience of listening to music into something visual. Over at his tumblr SetlistSchematics, you can find nearly 200 schematics of songs (usually performed live) by The Grateful Dead, The Dave Matthews Band, Pink Floyd, and mostly Phish. According to a short profile in The New York Times, Hamad "has a master’s degree in music theory and a Ph.D. in musicology" -- his dissertation focused on the tonal relationships in Franz Liszt’s songs -- and, somewhere along the way, he developed a tendency to translate music into schematics, a flurry of "arrows, descriptive notes, roman numerals and wavy lines." If you're interested in giving Hamad's method a try, we suggest lining up some colorful pens and big sheets of paper, and then tuning into these classic Phish concerts found in our archive: Phish Plays the Entirety of the Talking Heads’ Remain in Light (1996) or Phish Plays All of The Rolling Stones’ Classic Album, Exile on Main Street, Live in Concert.